We're Looking for the BIGGEST FAN!! Can you believe it's been TWO YEARS since this day!! 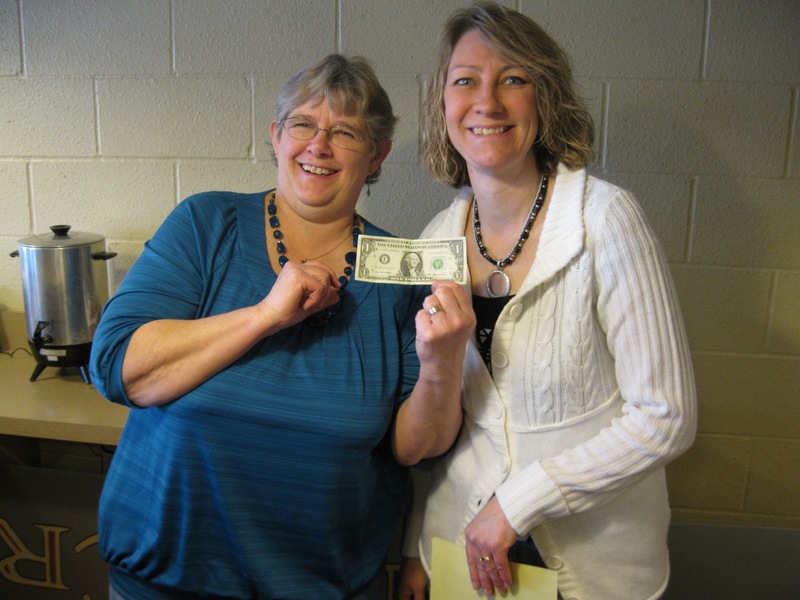 Mill Creek Cafe will be celebrating two years in business the week of Jan. 31- Feb. 3!! 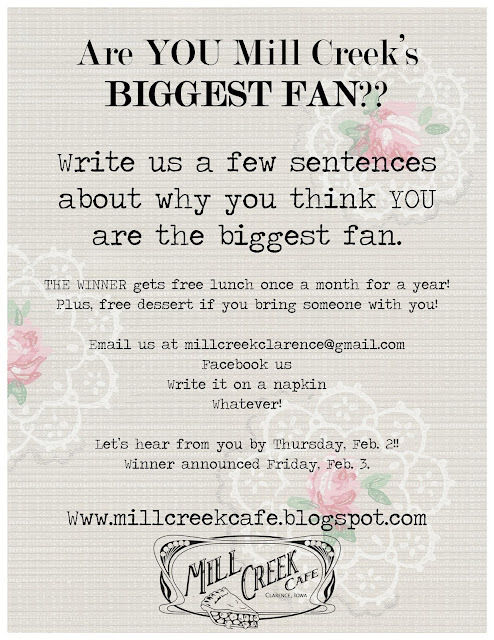 In celebration we are looking for Mill Creek Cafe's BIGGEST FAN! 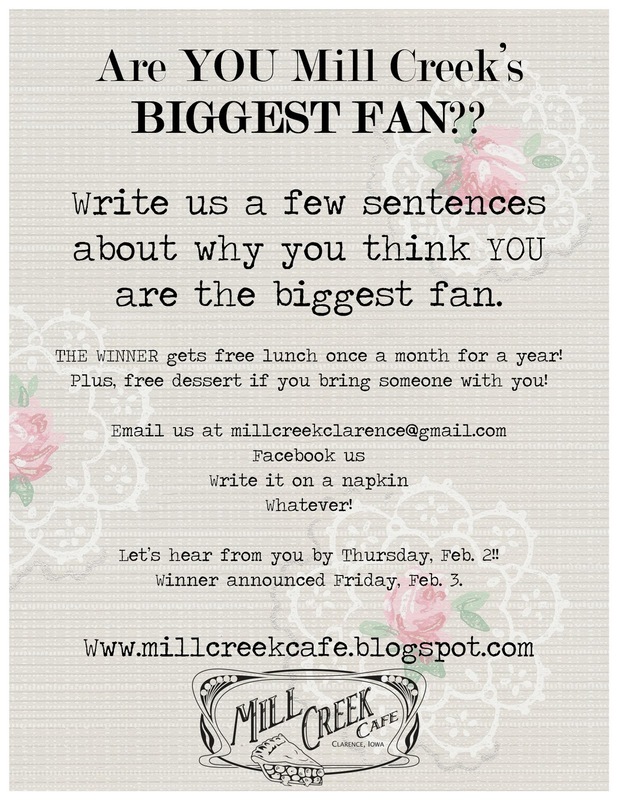 Tell us why YOU are our biggest fan, to win a free meal per month for a year! Email us, Facebook us or write us a note and drop it by the cafe! Please submit by Wed., Feb. 1. Lots of fun to be announced soon! It's Tenderloin Day at Mill Creek! We'll see you from 11am to 2pm! 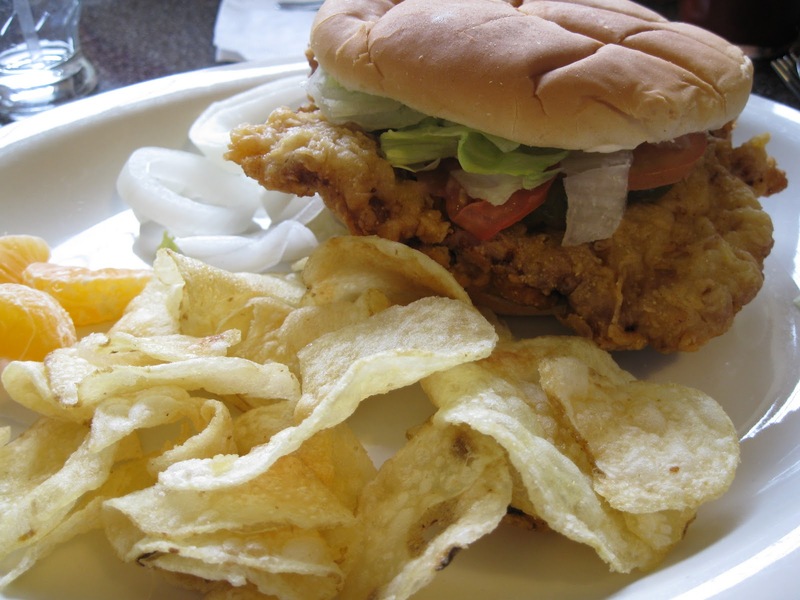 Located on the Historic Lincoln Highway, the gals at the Mill Creek Cafe prepare three very special selections everyday, all from scratch. Come sit a spell and enjoy!